Benjamin Britten’s witty comic opera Albert Herring is a coming of age story plus a clever satire on the perils of provincial living in a small English village. The Bronx Opera Company has mounted an excellent production with a strong cast and a magnificent performance by Chad Kranak in the title role. And legs bold as brass. For a girl of her class. One day, she opened the door in her nightie! Since no girls in the village qualify, the only thing to do is choose a King of the May, Albert Herring. A shy young man who’s virtuous and upstanding, he lives with his tyrannical, puritanical Mum and leads a very dull life working as greengrocer. But underneath his chaste exterior, Albert longs for freedom, love and a pint or two at the pub -- a love reflected in the relationship between young lovers Sid and Nancy. At the May Day ceremony, Albert receives a purse of otterskin with five and twenty sovereigns inside; and, unbeknownst to Albert, rum-spiked lemonade "to loosen him up…make him feel bright", courtesy of Sid and Nancy. These experiences give Albert courage to break away and choose life on his own terms. 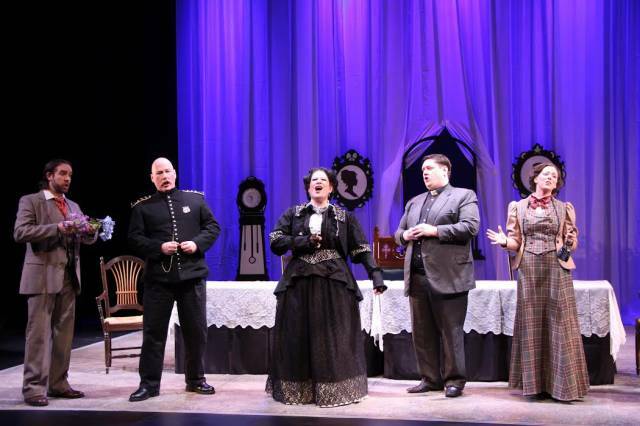 The performances are earnest and truthful, filled with specificity and sung gloriously. Albert Herring plays on many levels: as a comedy, as a stinging critique of the social mores of Victorian England and as the evolution of a sweet underdog audiences cheer for. Leslie Swanson brings a pompous Lady Bracknell quality to Lady Billows; Danielle Buonaiuto, with her sparkling champagne coloratura soprano and impeccable coming timing, creates the loveable daffy schoolteacher, Miss Wordsworth; Mr. Gedge, the vicar, is played with comic solemnity by Andrew Oakden; and Stan Lacy gives us a sensual working class ladies’ man in his portrayal of Sid. 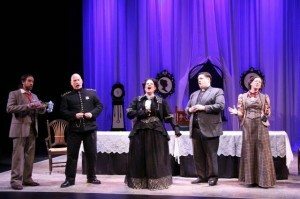 Standouts are Amy Maude Helfer, whose creamy rich mezzo gives Nancy warmth and sincerity, and lyrical tenor Chad Kranek, singing the role of Albert to perfection; he’s compelling and charming in his struggle to become emancipated. 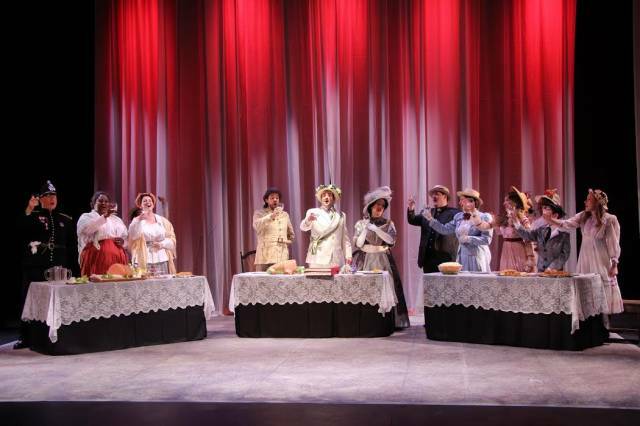 Bravo to The Bronx Opera Company, now in its 48th Season, for bringing to effervescent life the story of Albert Herring!